This kind of rubberstamping of excessive pay plans helps explain why the gap between CEO and worker pay remains at the staggering level of 335-to-1. And yet this practice appears to be just hunky-dory with the vast majority of BlackRock shareholders. At the Wall Street firm’s annual meeting in Manhattan on May 25, only 4 percent voted in favor of a proposal to put more muscle into the firm’s approach to CEO-pay voting. In the three minutes Silberstein was allotted to argue his case at Wednesday’s meeting, he compared BlackRock’s rubberstamping of executive-pay packages to the big banks’ robo-signing of home foreclosure documents without proper review. BlackRock could also wind up paying a price for their negligence, Silberstein warned. Five big banks paid $26 billion in 2012 to settle claims of robo-signing that led to thousands of American families’ being forced out of their homes. John Keenan, a corporate governance analyst with the American Federation of State, County, and Municipal Employees, agreed with Silberstein about the importance of the proposal in drawing attention to the problem of mutual funds rubberstamping CEO-pay packages. “Excessive pay is the addiction, BlackRock’s proxy voting is the enabler, and the Silberstein proposal is the first step in the road to recovery,” Keenan said. The proposal did draw significant pre-vote media coverage, perhaps most notably from New York Times business columnist Gretchen Morgenson, who ridiculed BlackRock top exec Larry Fink for wielding his CEO-pay stick like a “wet noodle.” The consumer-campaign group SumOfUs also organized a support petition signed by 75,000 people, including more than 4,000 BlackRock clients. Nevertheless, Landis Weaver said the proposal “helped expose the complicated nexus of self-interest of mutual funds that manage billions in corporate pension and other retirement plans.” In her analysis of the 100 firms with the “most overpaid CEOs,” Landis Weaver found, for example, that the giant Vanguard mutual-fund family was about on par with BlackRock, giving excessive CEO-pay packages the thumbs up 97 percent of the time last year. But some funds have demonstrated that a different approach is possible. BlackRock competitors Domini, Calvert, and Pax all voted against bloated pay packages more than 60 percent of the time. 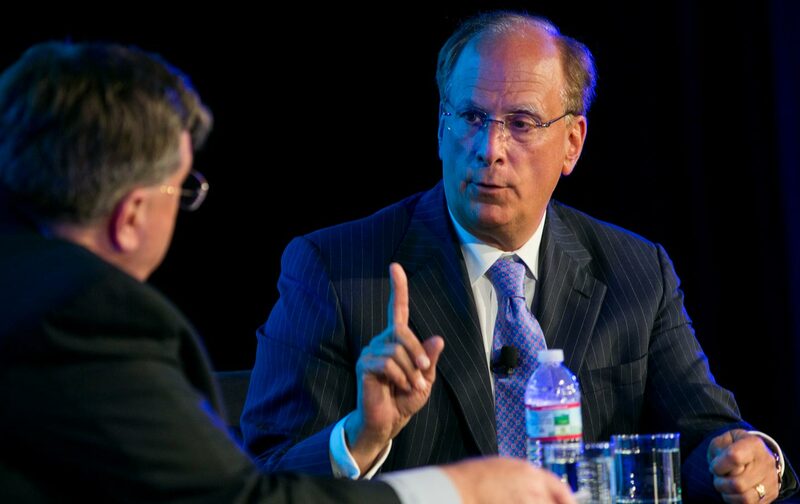 At the annual meeting, BlackRock management also prevailed in a separate vote on their own CEO’s compensation plan. The board’s reward proposal for Larry Fink amounted to $26 million, an increase of 8 percent, despite a 5 percent drop in BlackRock’s share price last year. Only 10 percent of shareholders who cast votes rejected this plan. It’s not hard to imagine why investors might want to stay on Fink’s good side. Beyond his might at the helm of a Wall Street titan with $4.6 trillion in assets, he could well be poised to add a new power post to his résumé. If the rumor mill is accurate, he aims to hold the position of Treasury secretary in President Hillary Clinton’s administration. Despite the overwhelming opposition, the Silberstein resolution appears to have met the threshold needed for refiling next year. By that time, Fink may well be sitting in a different office—one right next to the White House.